My planner from Sterling. Now I do not know if Sterling is an international brand. But I'm sure they are just a local brand. Maybe. So every year I do buy planners for me to so-called organize my life which I can only do within the first few months and then I don't keep up with it anymore until the end of every year. 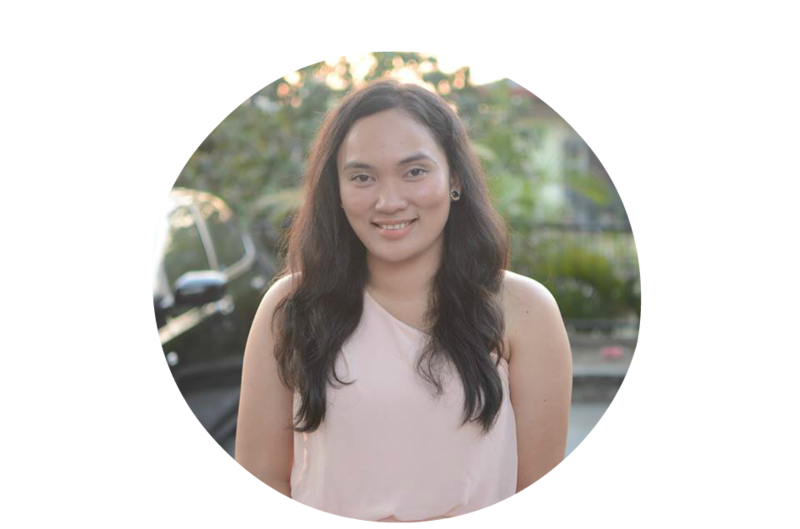 I have been buying and using the planners from Belle de Jour which leads more towards women because their planners are really awesome and colorful and girly. 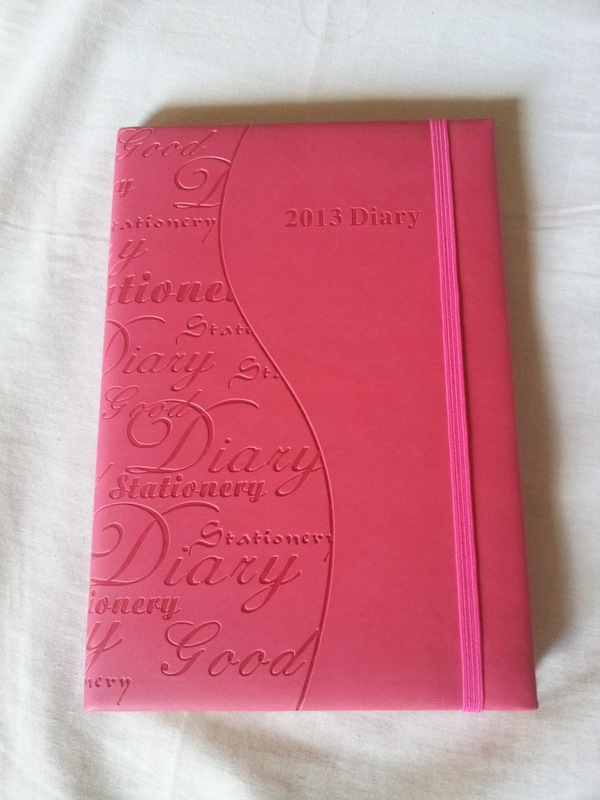 But this year I decided to buy a different brand which is more simple and plain. I guess BDJ has just too much going on and I use too much color in it that it makes my planner so overwhelming and I kinda have out grown that. So this time I'm going for that plain jane look. The color really attracted me to this. Plus the embossed words are just so pretty to look at. I just love this monthly view. 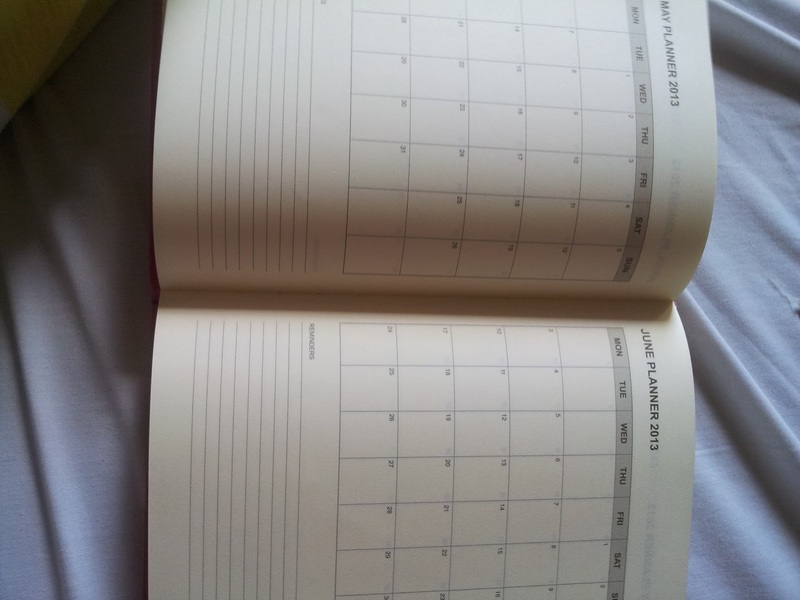 And it has a reminder section which I can write my monthly goals in. And another reason for buying this is that... IT IS SO SLIM! I can stuff this in my bag without worrying about the weight! Another reason for buying this is that the paper is somewhat like a cotton cream one. 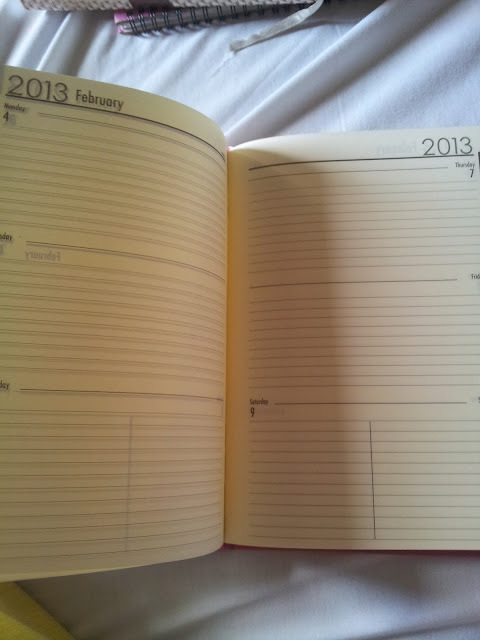 I don't really like your typical white paper in a planner. 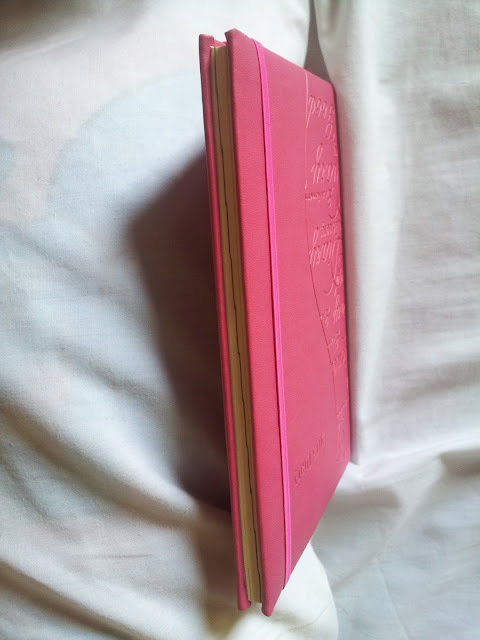 And it has an elastic band that will hold the whole planner together and so that the papers would not fold too. The only thing about this planner is that the notes section are limited. I think they only have a spare of 7 or 8 pages only which is very limited for me.